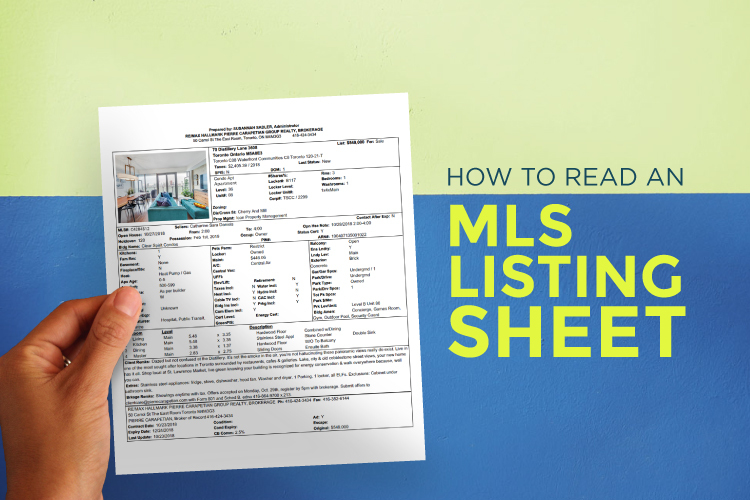 Learn how to read an MLS Listing sheet in Toronto, Canada. We walk you through a house MLS listing and condo MLS listing as examples. When your real estate agent is sending you properties of interest but you’re not sure how to read an MLS listing sheet, we’ve got you covered. There’s a lot of important (and not so important) information included on those MLS sheets. 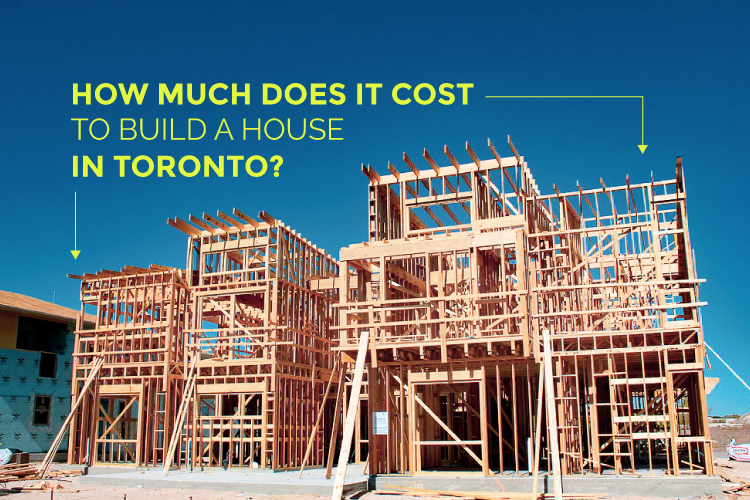 Let’s dive right in to make this easy and straightforward so you can get started on what really matters—searching for your new Toronto home. WHAT IS AN MLS LISTING SHEET? When listing a property for sale the MLS listing sheet houses all of the important information on the property and gets uploaded to the MLS database. Every website will be different, but throughout there will be many of the same MLS listing numbers, MLS codes, and MLS abbreviations. While it may be difficult to understand and decode MLS listings at first, it does make things consistent across the real estate market and differing databases. Below you’ll find two examples of MLS Listings. The first is an example of an MLS house for sale, the second is an example of an MLS condo for sale. There is a lot of information on these MLS sheets that are rarely used, some that are important to you as a buyer and some that aren’t relevant to you at all. I’ve highlighted important information in yellow. Simply hover over the area to see what it represents. Areas that are highlighted in blue are informative but are nothing you, as a buyer, need to worry about. 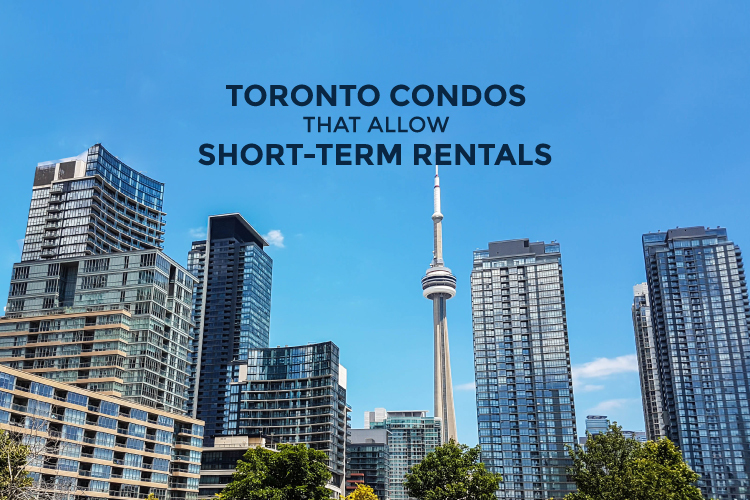 You can also reference all of the important MLS abbreviations here so you can walk away knowing exactly how to read an MLS Listing in Toronto. When it comes to reading and MLS sheet, some of the items are explanatory and some are not. Here is a list of the MLS listing abbreviations and sections that are important for you. Address: This is pretty straightforward. Accompanying the address is the TREB Municipality code (on the condo example above the code is C08) and the TREB Community (Waterfront Communities). 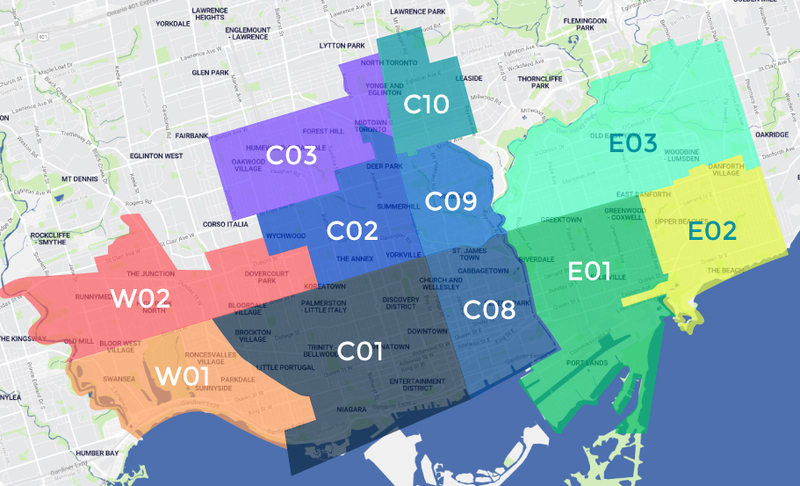 You can see the different Toronto Real Estate Board (TREB) municipalities on this map. DOM: This means Days on Market and represents how long the listing as been active on MLS. The longer a listing has been active on the market indicates there hasn’t been much interest in the property and is a good sign you’ll be able to negotiate on price. Rms: Indicates the total number of rooms in the property. Bedrooms: Indicates the total number of bedrooms in the property. When a bedroom is listed as 3+1, the first number indicates number of full bedrooms where the + indicates a den or very small bedroom. Level: With regards to condos for sale, the level or the floor the condo is on. Keep in mind, the level may not always correspond with the condo number. I.e. A condo listed as #1201 may actually be on level 13 even though the unit number is 1201. Unit#: Corresponds to the unit number of the condo listing. Locker#/ Locker Level/ Locker Unit#: Indicates the locker information affiliated with the condo including the locker # and the level where it is located. Dir/Corss St: The nearest major intersection to the listing address. Prop Mgmt: The property management company of the residence. Lot: For houses, this provides the dimensions of the entire property. MLS#: The MLS number is a code unique to each MLS listing. This is important when referencing or searching for an MLS listing. You can search by MLS number on real estate websites. Sellers: The name of the sellers. This can be a person(s) or a corporation. Possession: The possession is the ideal closing date for the seller. This can be a specific date or a range depending on the seller’s needs. Occup: Indicates whether or not the MLS Listing is occupied by the owner or a tenant. If it is tenant occupied, 24 hour notice is required for all property showings. Status Cert: Indicates whether or not the sellers have the condo’s status certificate available. Y for yes, N for no. Click here to learn more on status certificates. Bldg Name: Indicates the name of the condo building. Basement: Indicates if there is a basement and whether or not it’s finished or unfinished. Heat: Indicates how the property is heated. A/C: Indicates how the property is cooled. Central Vac: Indicates if there is a central vacuum. Apx Age: Indicates the approximate age of the property and is usually a range. Apx Sqft: Indicates the size of the interior space and is usually a range. Sqft Source: Indicates where the square footage was obtained. Exposure: Represents the direction a condo faces. This can be North (N), East (E), South (S), West (W) or a combination of. Elevator/Lift: Indicates if there is an elevator inside the property. Ens Lndry: Indicates if there is ensuite laundry. Y for yes, N for no. Balcony: Indicates if there is private outdoor space connected to the condo unit. This can be an Open Balcony, Covered Balcony, Juliette Balcony, Terrace, or None. Laundry Lev: Indicates which floor the laundry is located. Prop Features: Lists amenities that are nearby. Exterior: Indicates the material makeup of the property’s exterior. Pets Perm: Indicates if pets are permitted or if there are pet restrictions at this condo building. Locker: Indicates if there is a locker affiliated with the condo and if it is owned or rented. Maint: Indicates the current maintenance fees affiliated with the condo property. Taxes Incl: Indicates if taxes are included in maintenance fees. Heat Incl: Indicates if heat is included in maintenance fees. Cable TV Incl: Indicates if cable TV is included in maintenance fees. Com Elem Incl: Indicates if common elements (amenities) are included in maintenance fees. This is almost always yes. Water Incl: Indicates if water is included in maintenance fees. Hydro Incl: Indicates if hydro (electricity) is included in maintenance fees. CAC Incl: Indicates if hydro (electricity) consumed by A/C is included in maintenance fees. Prkg Incl: Indicates if the cost of any affiliated parking space is included in maintenance fees. Park/Drive: Indicates the location of parking affiliated with the property. Gar/Gar Spcs: Indicates if there is a garage with the property and the number of vehicles it can hold. Drive Park Spcs: Indicates the number of parking spaces permitted. Park Type: Indicates if the parking space is owned or rented. Park $/Mo: If rented or not included in maintenance fees, will specify cost of parking space per month. Prk Lev/Unit: Will indicate the level and parking space number. Bldg Amen: Indicates the amenities at property. Sometimes this space doesn’t allow for all amenities to be listed. Pool: For houses, indicates if there is a pool on the property. Room/Level/Description: This area lists all of the specific rooms, which level of the property they’re located, their specific dimensions, and the finishes and special features of each. Client Remks: This is essentially a brief sales pitch about the property and is written on behalf of the seller to describe the property and highlight special features. Extras: This outlines what’s included and not included regarding appliances and special items. With this as your cheat sheet for reading an MLS listing, so when your real estate agent is sending you properties of interest you’ll have no trouble understanding the details. 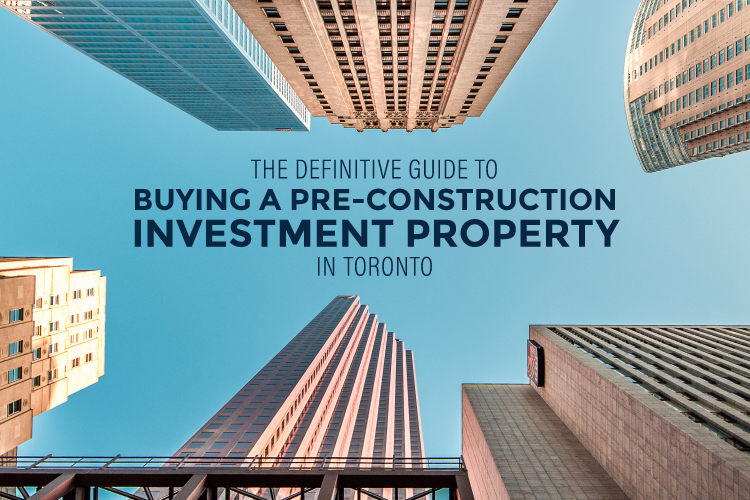 When that right property comes along, you’ll be ready to make your move and buy your Toronto home.